A teardown of Amazon's Kindle Fire revealed that the total cost of building one tablet is $10 more expensive than the price of the device, which means that, for a while at least, it'll be selling at a loss. But that's exactly what Amazon wants. A "virtual estimate" by the IHS iSuppli Teardown Analysis Service shows that the Kindle Fire's bill of materials is $191.65 before manufacturing expenses. After that, it's $209.63; roughly $10 more than the Kindle Fire's $199 price tag -- but that's still less than half of an entry-level iPad, and cheaper than many other tablets, even after RIM and HTC's emergency price reductions. Amazon's business model is explained as "razor-razor blade," a strategy developed by Gillette wherein the company sold razors at dirt-cheap prices and made its profit from replacement razor blades. The vast majority of the Kindle Fire's content comes directly from Amazon's own music, video, e-book and retail stores, so Amazon expects to make its money -- and build its own branded lifestyle -- from content sales rather than hardware sales. Amazon took the same approach with its prior e-ink Kindle: It was priced at $189, but cost $156 to make, according to the Wall Street Journal. As a result, given the sales numbers of e-books outranking print books and the popularity of the Kindle platform, it's speculated that Amazon made most of its money on e-book sales. Plus, the Kindle Fire's $199 price point puts it in the category of "impulse buy" rather than "investment," which is appealing for tablet-hungry consumers who don't want to drop a half-grand on an iPad. 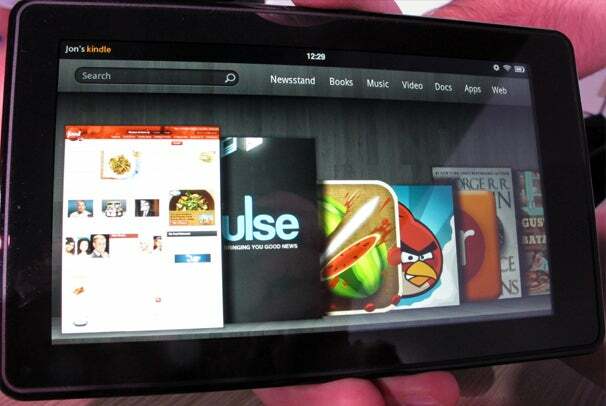 But just because the Kindle Fire will likely be a huge holiday success -- it clocked nearly 100,000 preorders on its first day -- doesn't mean it's anywhere close to being an iPad killer, as it has a mere fraction of the iPad's functionality.